Hall of Fame fullback and linebacker who played for the Cleveland Browns. He joined the U.S. Navy in 1944 as World War II was escalating. 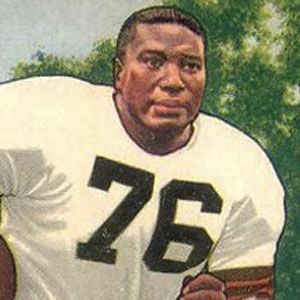 He was a talented player on both sides of the ball, causing Joe Perry to call him the greatest all-around football player there ever was. He married Eula Coleman in 1943 and together they had three sons. He thrived under head coach Paul Brown during the Browns' decade of dominance.